Helen Cheng, coastal resilience specialist at New York Sea Grant and the Nature-Based Shorelines Project’s lead for the New York City region. As Earth’s climate changes and New York coastal communities face risks from unpredictable waters, Cornell researchers and other specialists are developing a framework to protect shorelines and the people who live near them. Experts from New York Sea Grant (NYSG) are involved in the Nature-Based Shorelines Project to identify the best ways to evaluate wetlands, natural elements such as beach grass plantings, and nature-based features such as living shorelines. Coastal communities along the Great Lakes, Hudson River, Long Island and in New York City will be getting updated information about how to monitor and evaluate the performance of nature-based shorelines. The project, managed and co-sponsored by New York Department of State and New York State Energy Research and Development Authority, will also examine how man-made structures provide benefits, such as social, ecological and physical shoreline stabilization. A final monitoring framework is expected by September. 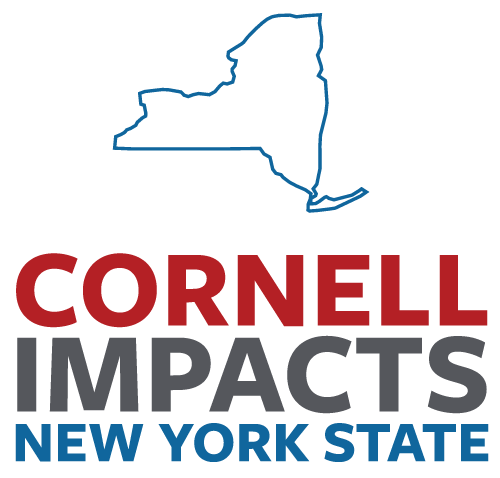 NYSG, a cooperative program of Cornell University and the State University of New York, administers a network of integrated research and education services around the state. The organization’s personnel, relationships and partnerships throughout New York will provide a statewide perspective on the project. From May through September 2018, NYSG staff served as workshop leads for the Great Lakes, New York City and Long Island regions. The specialists invited key stakeholders – waterfront practitioners, scientists and others with expertise in their respective regions – to provide feedback on the shoreline monitoring framework as well as discuss the nuances of shoreline management in each region. The specialists facilitated conversations among regional stakeholders, including an overview of the three themes of indicators – ecological function, hazard mitigation and structural integrity, and socio-economic benefits – and parameters related to determining the success of approaches such as living shorelines. The feedback received at each workshop will be incorporated into the final version of the monitoring framework. Funding for a portion of the project – which includes testing the framework at pilot locations in the Great Lakes, Hudson Valley, Long Island and New York City areas – comes from a grant from the National Oceanic and Atmospheric Administration. Ryan Strother is a freelance publicist for New York Sea Grant.